Karatedo athlete Darlene Ross Maramara who is the female athlete of the year awardee in the annual prestigious 21st So Kim Cheng Sports Awards with Mr. Rommel Tan of the Davao City Sports Council Inc. and mentor of the Association for the Advancement of Karatedo (AAK), and another Karatedo athlete Julian Ambrose “Jam” Ramirez who is the male athlete of the year awardee also in the 21st So Kim Cheng Sports Awards. The awards night this year will be held on July 22, 2015 at six in the evening at the Royal Mandaya Hotel Ballroom here in Davao City. 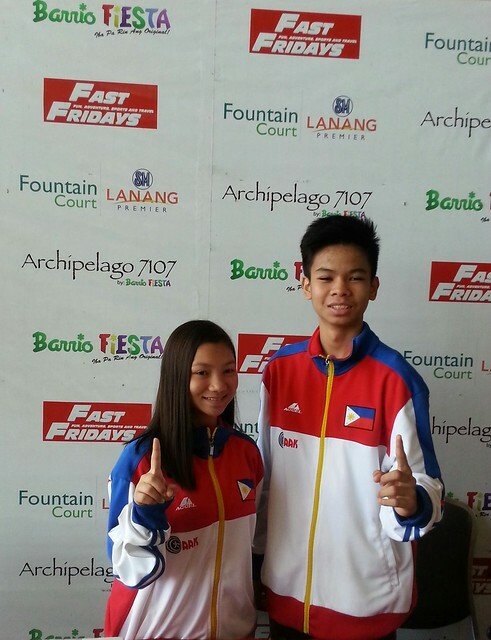 Darlene is a Grade 10 student of the Davao National City High School and Jam is a Grade 9 student of Precious International School of Davao. 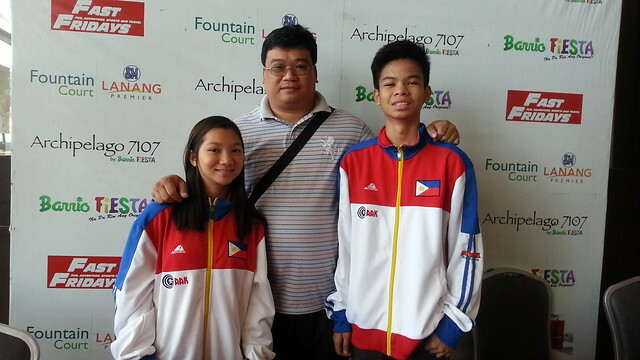 Both karatekas are members of the Association for the Advancement of Karatedo (AAK) Davao Chapter under mentor Rommel Tan. 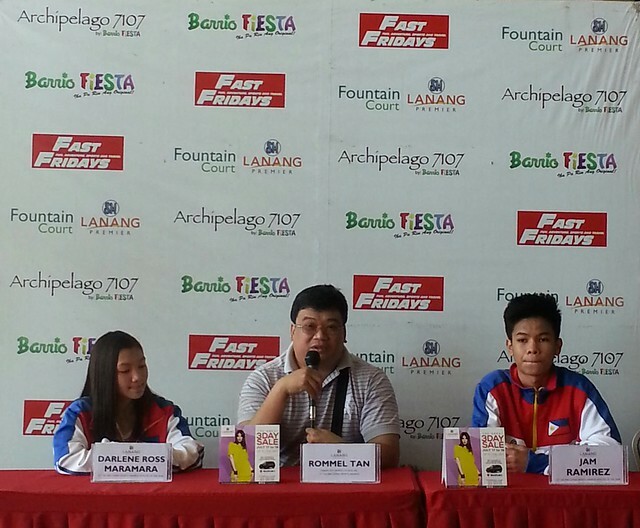 They were the guests at FAST Fridays Media Forum last July 17, 2015. This media forum is being held every Friday hosted by SM Lanang Premier at Barrio Fiesta by Archipelago 7107 located at the 2nd floor fountain court area. Present there are Ms. Acey Puno-Reyes, Public Relations Manager of SM Lanang Premier, and Mr. Neil Joseph Bravo who is the moderator of the media forum. FAST stands for Fun, Adventure, Sports and Travel – topics which are all being discussed in this weekly media forum which is, by the way, open to all media practitioners in Davao City.